It makes sense that taking care of duct cleaning for your Pasadena home can end up getting put off on your daily to-do list, yet you have to begin to realize the importance of getting this work done. If you want to protect your house and loved ones, this needs to be the type of project you don’t end up neglecting to address. It doesn’t matter how new your house is or whether or not anyone in your home has allergies. You need to be making plans for this service for your household. For starters, let’s think about the reality that your HVAC system works night and day, all year long, pushing warm or cooled air through the duct work. Think about how the air that circulates through this system does so over and over while doing the job of helping create the desired temperature you want. Do you really want to take chances that this air continues to be clean when this also happens to be the air you and your family are breathing? Many homeowners make the mistake of assuming newer homes are still so clean that the ducts couldn’t possible need to be cleaned but from the moment construction starts and dust is kicked up in the air, it can get into the ducts. So what if no one in your family has any problems like allergies or asthma? As a homeowner you care about everyone in your household so the last thing you would want is to subject them to contaminated air and possibly cause them to have breathing related health conditions. It only makes sense to want to keep your house as clean as it should be and prevent the constant exposure of your breathing air to the dirt, dander, dust and other debris that have collected in your ducts. Recent studies indicate that indoor air quality could be anywhere from two to 100 times more contaminated than the air outside. So if you would like to make sure your home is clean, right down to the HVAC system and your air, then you need this. 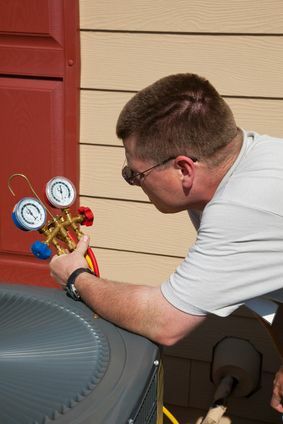 At Brumwell’s Instant HVAC you can rest assured that we take our work seriously which you will be able to tell by the service we provide you with. Let us start by working with you and answering any questions you may have. We are truly committed to providing the finest in Pasadena duct cleaning for your house and loved ones. Get in touch with us right now so we can begin. If you are looking for a Pasadena heating and air conditioning company then please call 410-360-0002 or complete our online request form.